My first memories of banana bread take me back to the tuck shop at school. Pre-packaged into individual slices these brown, peppery looking rectangles sat upright in a neat row. They were ok but a little processed so I wasn’t a repeat buyer. Much later on however, banana bread became much easier on the palate. Friends and family were making it from scratch and it tasted much more wholesome, it was even comforting. 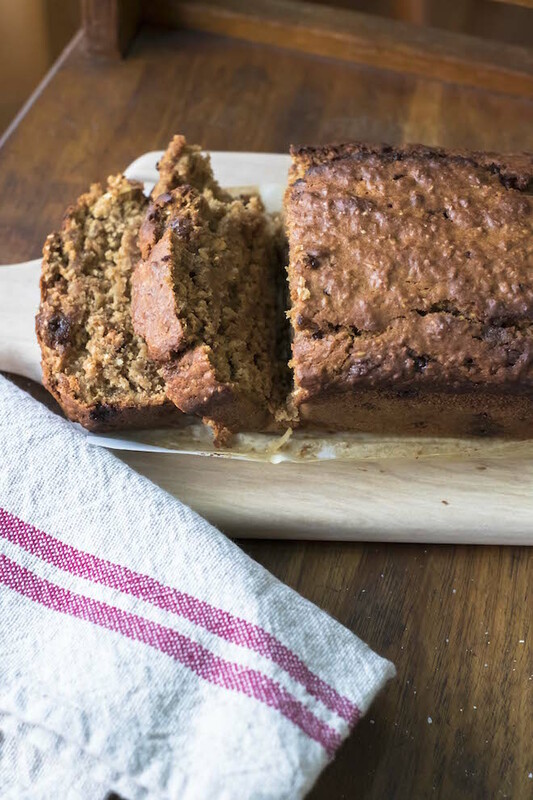 Banana bread seems to always be the best way to put overripe bananas to use. I toy with the idea of banana based pancakes, or even muffins, but banana bread in its trusty singular tin loaf form always wins. Lately I’ve been experimenting with some flavours and textures to make my banana bread less bland, and this combination too seems to be a winner. 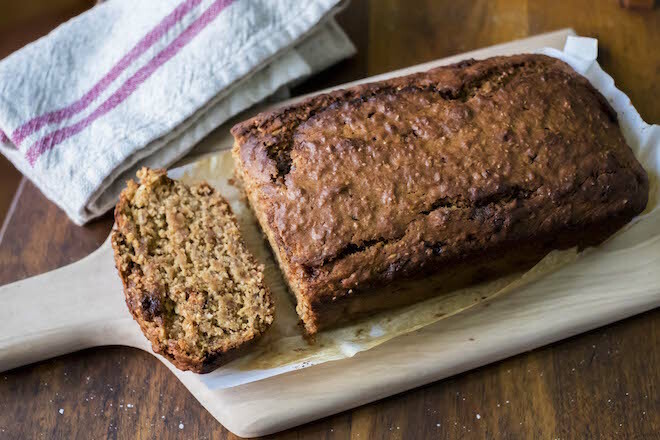 The brown sugar gives the loaf a caramel flavour (not too sweet), the coconut adds texture and the spices create warmth. I must also mention that the flour I’ve used makes the loaf for me. 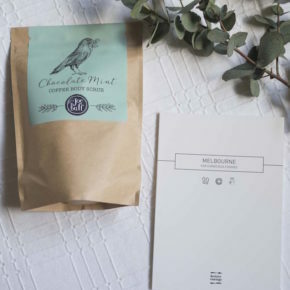 I brought over a few packs from my latest visit to Melbourne and it has made such a difference compared to the flour I get locally in Phitsanulok. All in all the result of these elements have yielded Coconut Banana Bread and it has now replaced all my previous banana bread recipes. Give it a go and let me know what you think. Also, make sure you read the NOTES section below, as I highly recommend using the same flour I have for the best results. (Not sponsored – it’s just amazing flour!). Preheat your oven to 204°C. Grease a tin loaf and find two medium sized mixing bowls. In one, sift the flour with the salt, baking powder and baking soda. Add the brown sugar to the dry mix, along with the shredded coconut and the spices. In the other mixing bowl, mash your bananas, then add the almond milk and whisk together. Add the olive oil, vanilla extract and mix through until blended with the bananas and almond milk. Add the wet ingredients to the dry ingredients and fold together until the two have combined thoroughly. Pour the coconut banana bread mixture into the tin loaf and pop into your hot oven. Bake for 25 – 30 minutes. Use a skewer to check that the coconut banana bread has cooked through. Remove from the oven and allow to cool for at least 30 minutes before devouring. Notes: The bread flour is a key part to this recipe. If you are able to access Laucke’s flour, I highly recommend it as it really makes the loaf. The flour has some rye in it and flecks of oats, which all add to the flavour and texture. 30 minutes in the oven (and no longer) will result in an incredibly dense but moist loaf – very similar to a lumberjack cake. Enjoy this easy and delicious recipe. It’s a definite crowd pleaser!